A total of Rs 305.14 crore has been sanctioned as central assistance to Manipur, Mizoram, and Kerala which faced various natural calamities in 2016-17, according to a Union Home Ministry statement issued late Wednesday. 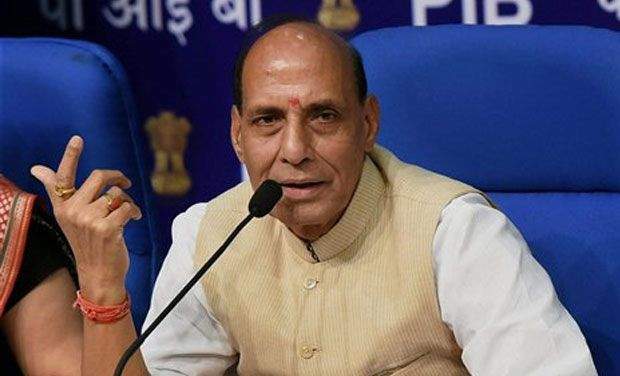 A decision to grant the amount was taken at a high-level meeting chaired by Home Minister Rajnath Singh in New Delhi on Wednesday. The Union Minister for Finance and Corporate Affairs, Shri Arun Jaitley, Union Minister of Agriculture and Farmers’ Welfare, Shri Radha Mohan Singh, Union Home Secretary, Shri Rajiv Gauba and senior officers of the Ministries of Home, Finance, Agriculture and Niti Aayog attended the meeting. The central assistance has been approved to Manipur and Mizoram affected by floods and landslides, and drought-hit Kerala, according to a home ministry statement. The committee further approved an assistance of Rs 130.65 crore from the National Disaster Relief Fund (NDRF) to Manipur. The committee approved the assistance of Rs 130.65 crore from National Disaster Relief Fund (NDRF) for Manipur. The committee also approved Rs 49.02 crore for the state of Mizoram, including Rs 42.77 crore from the NDRF and Rs 6.25 crore from National Rural Drinking Water Programme (NRDWP). “The high level committee approved the assistance of Rs. 130.65 crore from National Disaster Relief Fund (NDRF) in respect of state of Manipur. The HLC also approved Rs 49.02 crore for the state of Mizoram, including Rs 42.77 crore from the NDRF and Rs 6.25 crore from National Rural Drinking Water Programme (NRDWP),” the Home Ministry said in the statement.